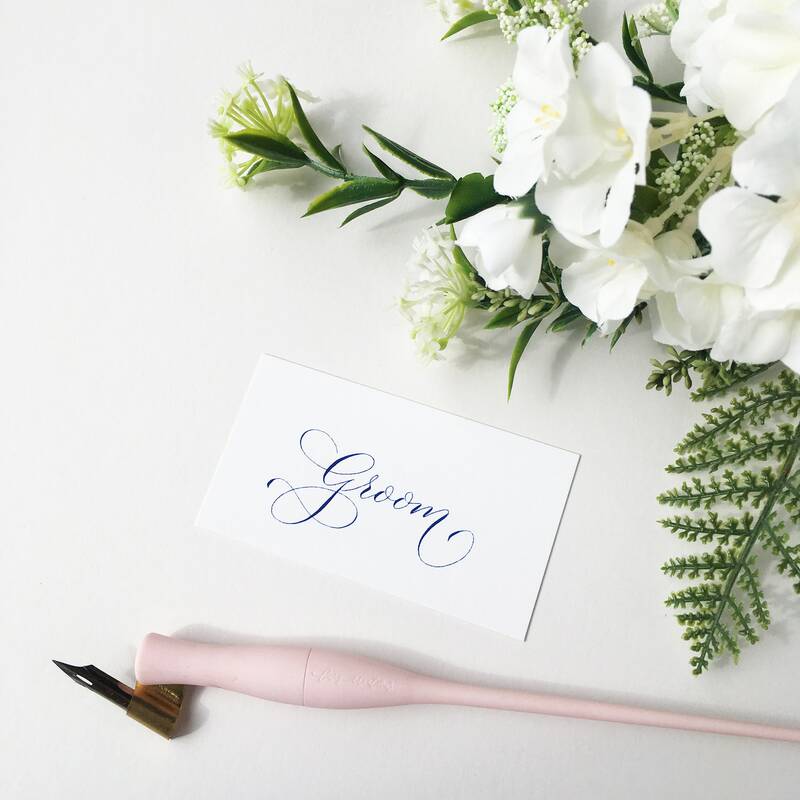 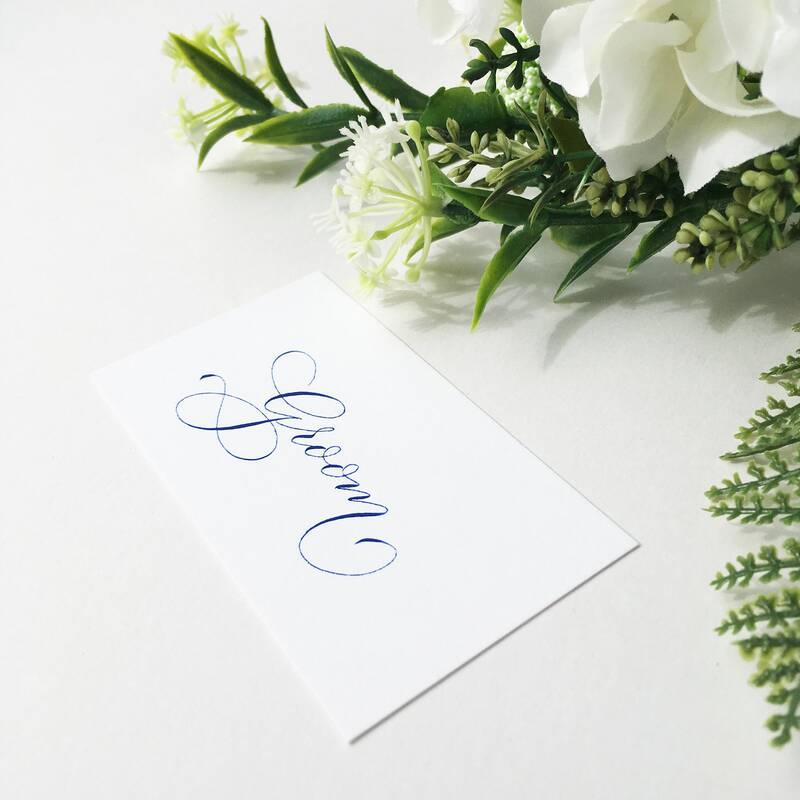 Bring a little flair to your wedding tables and give your guests that special personalised touch they'll instantly want to keep and take home to remember your day by. 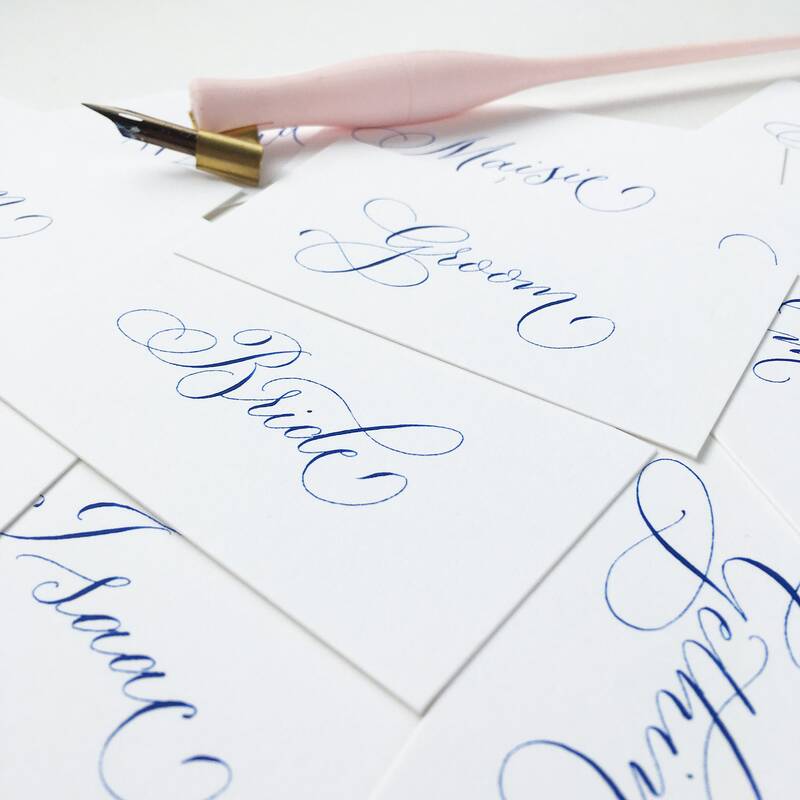 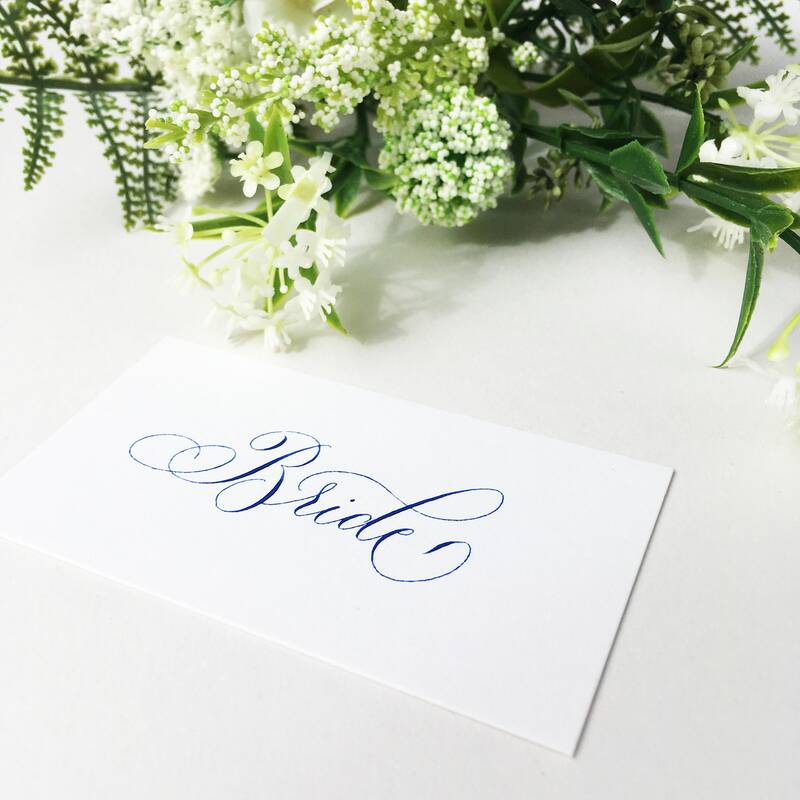 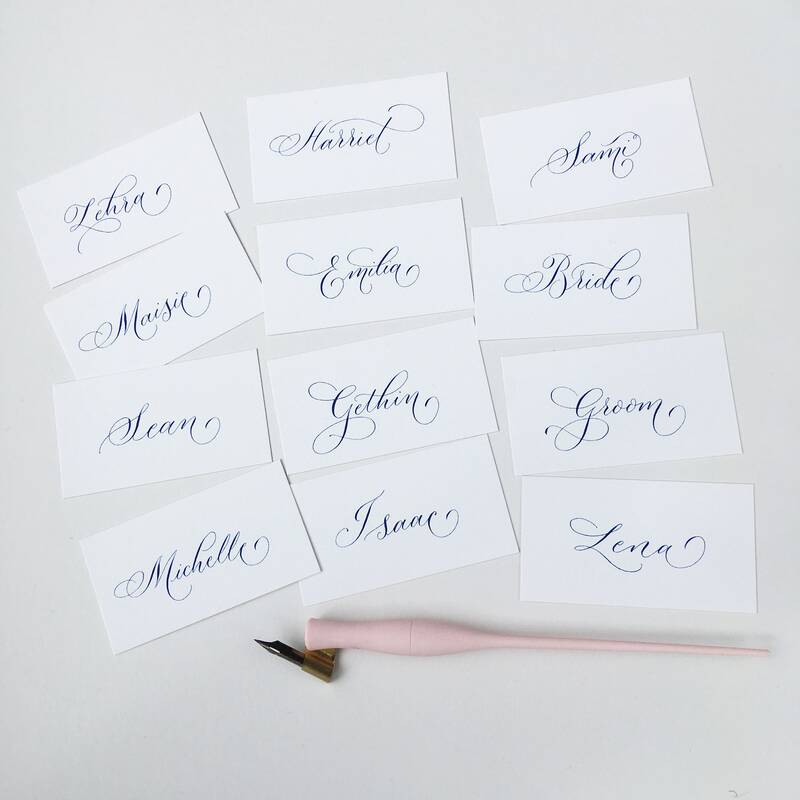 These elegant place names are written by an experienced, professional calligrapher in beautiful quality colour ink, with a traditional dip pen. 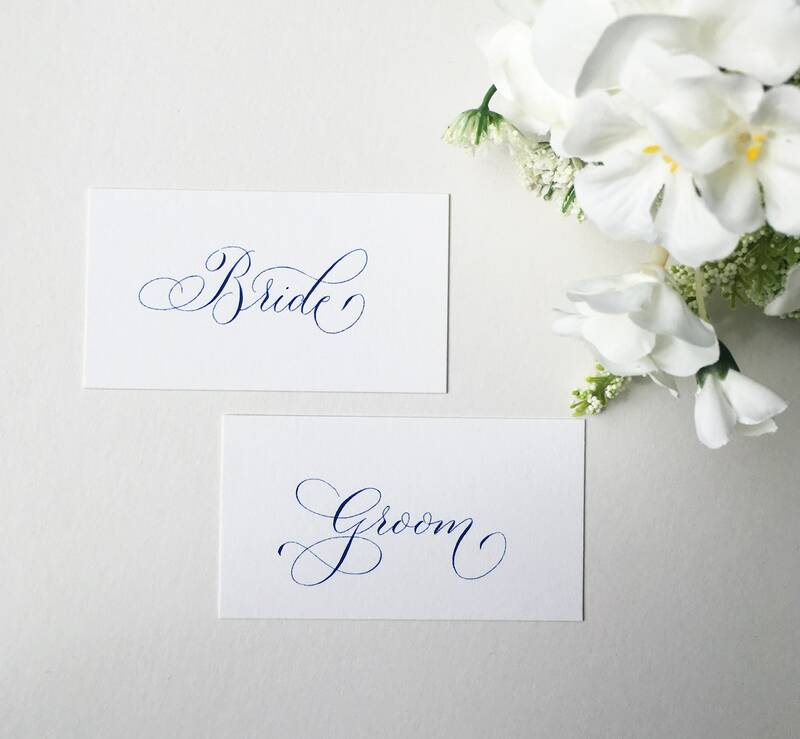 The swirls and flourishes add character, while names are still perfectly legible so guests can easily find their seats. 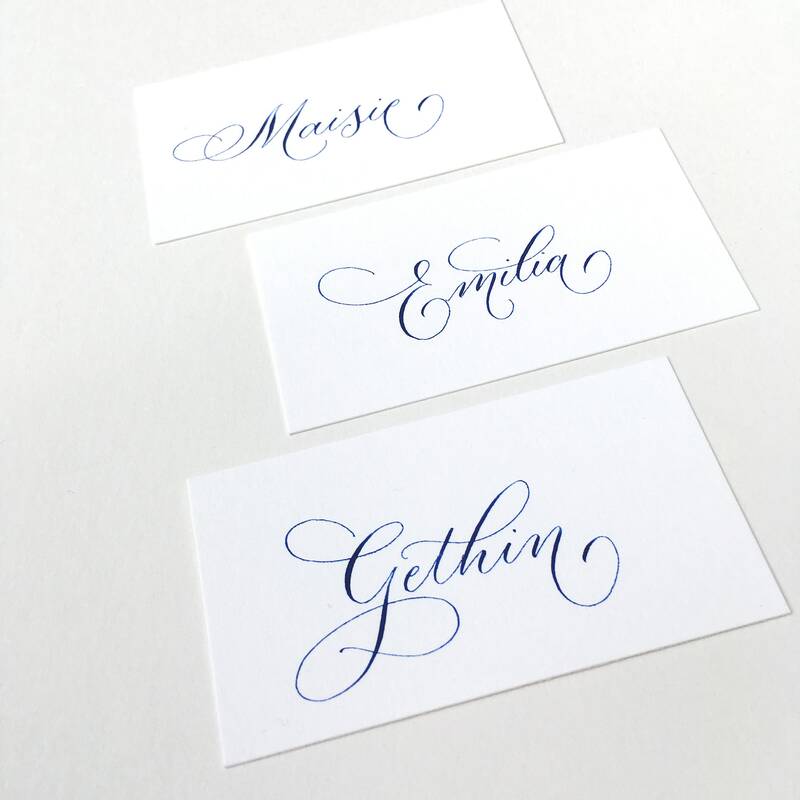 Available in any ink colour, and 100% handwritten. 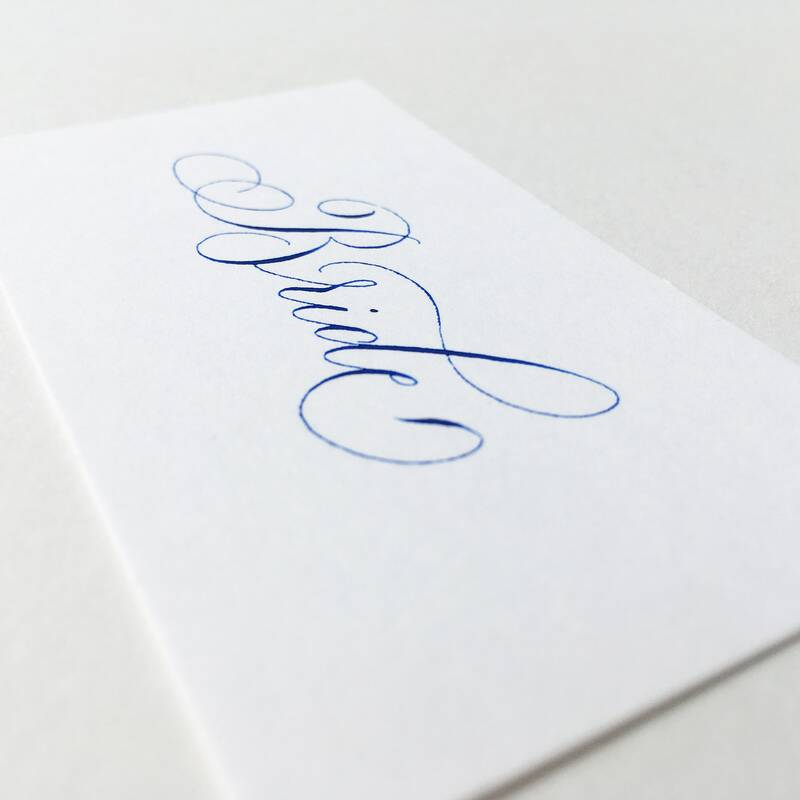 7) If you have any questions before you order, just find a 'message the seller' button and ask - I'll be happy to help!